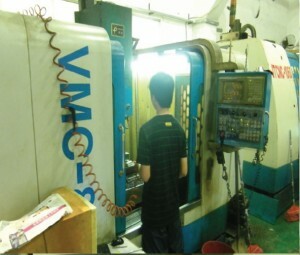 ﻿CNC milling machine is in general lead the milling machine developed on the basis of, both the processing technology of the basic same, structure and some similar, but CNC milling machine is to rely on the automatic machine tools program control, so the structure also and ordinary milling machine have very big distinction. Including spindle box and spindle drive system for the clamping tools and drive tools rotation, spindle speed range and output torque to the processing has direct influence. Feed motor and into the to the organization, in accordance with the procedures set to realize speed cutting tools and into the relative movement between parts, including the straight line feed movement and rotation movement. CNC milling machine motion control center, nc program execution control machine tools for machining. Such as hydraulic, pneumatic, lubrication and cooling systems and exhaust flocks and protection device.